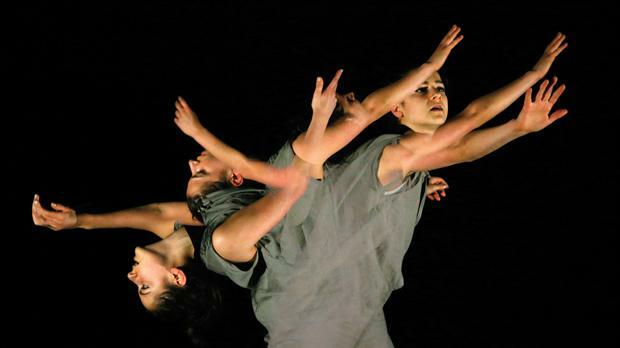 National dance company ŻfinMalta recently debuted its dancers with Erbgħa (4), a production featuring four contemporary pieces. With nothing but a black backdrop to set off the dancers’ frenetically fluid movements, audiences were transported into a parallel reality where dance dictated the paradigms of human sensation and the number four took on a meaning akin to magic. 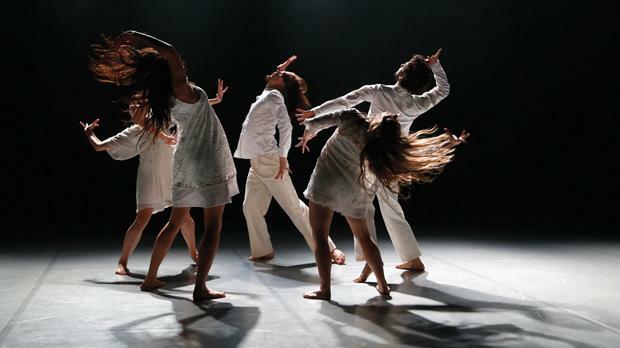 Produced by ŻfinMalta Dance Ensemble, Erbgha (4) consisted of four dances by four separate choreographers which effectively succeeded in showcasing the versatility and diversity of the company within its Euro-Mediterranean context and sensibility. In fact, the first three of the four pieces were being performed for the first time, while the last piece had originally premiered at the Korzo Theater in The Hague in 2011. Washed by a wave of kaleidoscopic colours, the dancers of the opening act, Selah, gyrated wildly in an explosion of theatricality which perfectly embodied the Baroque response to the austerity brought about by the rigidity of Protestantism. Despite the liquid flow of the well-made costumes, the dancers were able to couple the feverish gestures required of them while seamlessly projecting the choreography’s necessary pauses, truly embodying the break between old and new. It was also a beautiful choice for an opening number, as one couldn’t help but be very conscious of the fact that the few performers on stage had beat another 700 hopefuls to get their roles: a true moment of stopping and listening in order to cross new horizons. Uniquely Maltese in flavour, Iż-Żmien was inspired by the numerous conflicts and contradictions that make up human existence and was “inspired by a state of knowing and not knowing, a mystifying tension that lies within the body which is unwritten but present. A certainty and doubt”. Accompanied by singer and songwriter Walter Micallef, Kostas Papamatthaiakis gyrated and fought against the forces of life. Something uniquely parti-cular to this piece was the use of an apple – a reminder of man’s humanity and the risks of love and truly living. Each piece dealt with a core issue of life. The fact that the dancer was dressed in everyday clothing made the piece extremely relatable and brought the audience closer to the subject matter. Despite the com- plex message, it was aptly delivered. From the austerity of a one person dance and the turbulence of life, the audience was able to reach transcendence through a religious message, performed by the full company, in the next piece co-ordinated by renowned artistic director and performer Mavin Khoo. Using the Stabat Mater Dolorosa, a 13 th-century Catholic hymn to Mary, considered to be one of the most powerful meditations of her suffering during the crucifixion, Khoo and his white-clad dancers created a work which went beyond the twin pillars of sorrow and gratification. The work took the audience on a journey in the pursuit of spiritual ecstasy brought about by a deep understanding of suffering. I found the use of Maltese-born Girolamo Abos’s music wonderfully befitting the piece, as it allowed for the heightened emotions portrayed so beautifully by the dancers whose faces were a picture of deep turmoil. Rounding everything off was the question of existence itself through Kick the Bucket – apart from the wonderful use of masks that descended from the ceiling, the audience were left positively reeling by the introductory speech. The pas de deux between Khoo and Gabin Corredor was extremely well-balanced and elegant to watch, despite the fact that it was ultimately portraying very extreme emotions. As one began to recognise and become conscious of his own existence through the other, we too were invited to do the same. Interestingly, despite the negative connotations of the name, it fast emerged that the piece was not about death, but rather about the fact that we can only truly live through change and grow through the little ‘deaths’ and disappointments that life brings with it. Despite the seeming dissimilarity of each piece, Erbgha (4) is an interestingly crafted piece. If this is what a first offering looks like, ŻfinMalta is set to captivate audiences for seasons to come.